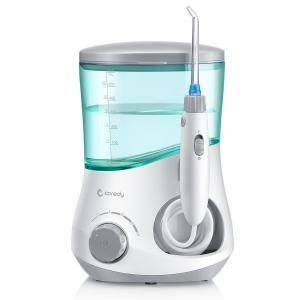 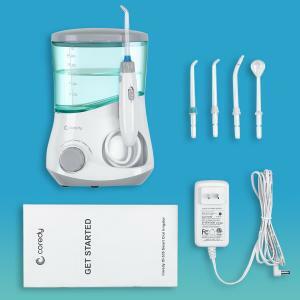 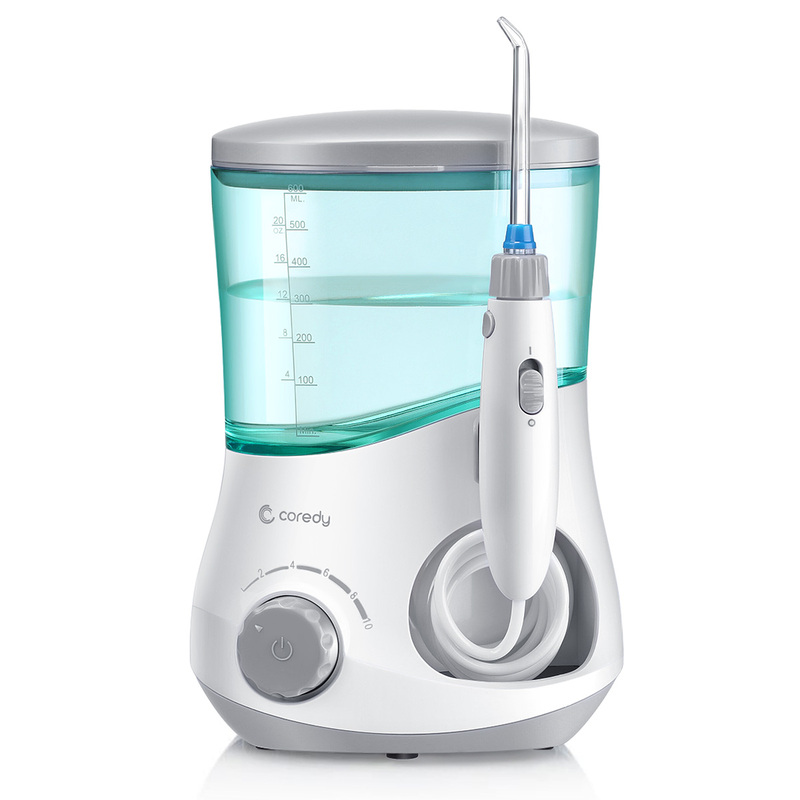 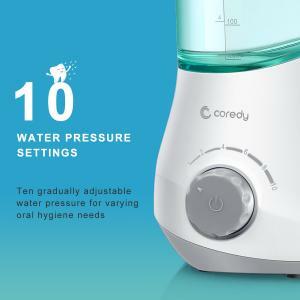 Coredy countertop water flossers are clinically proven to be more effective than traditional dental string floss, it can cleans deep between teeth and below the gumline where traditional brushing and flossing can’t reach, it’s a perfect oral irrigator system for anyone with braces or implants, periodontal pockets, and those with crowns, bridges, and veneers. 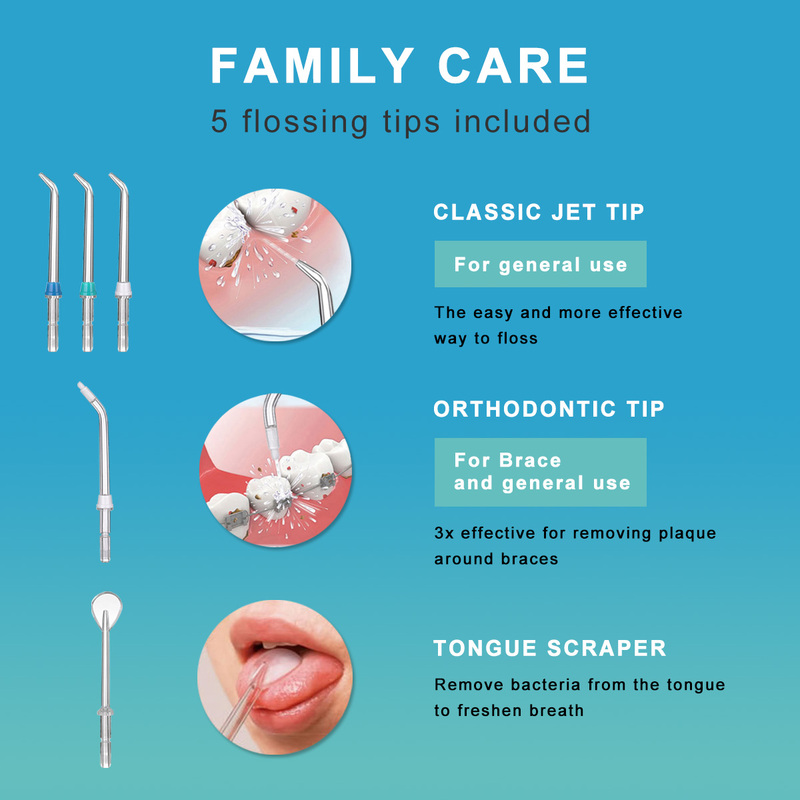 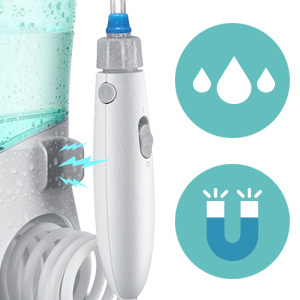 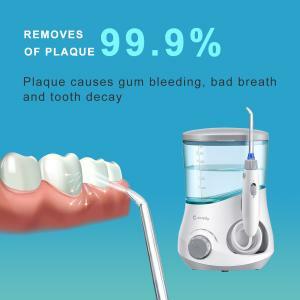 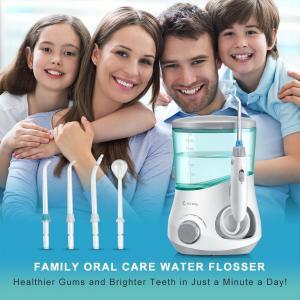 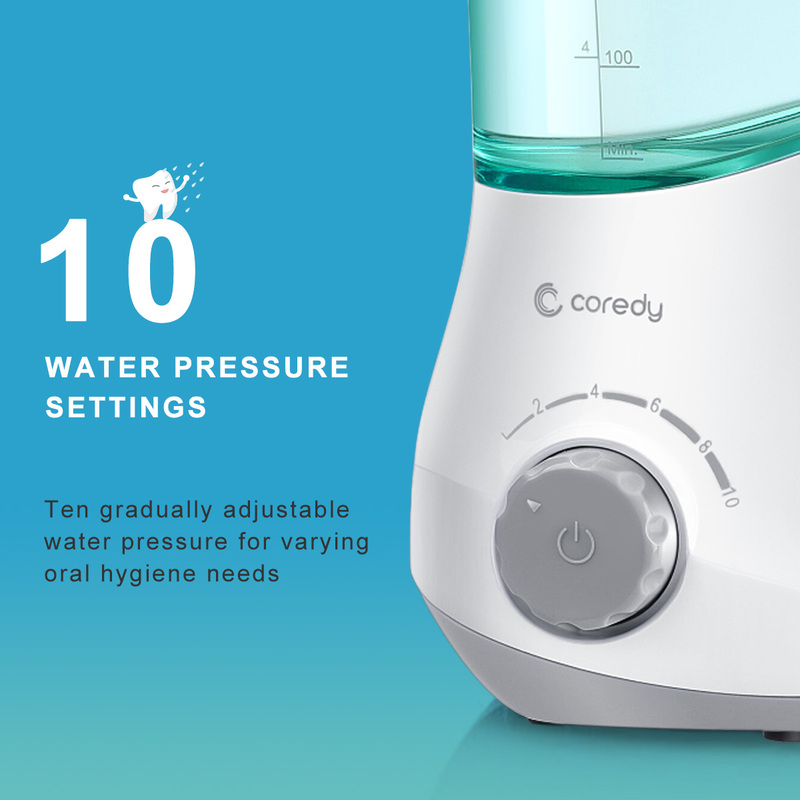 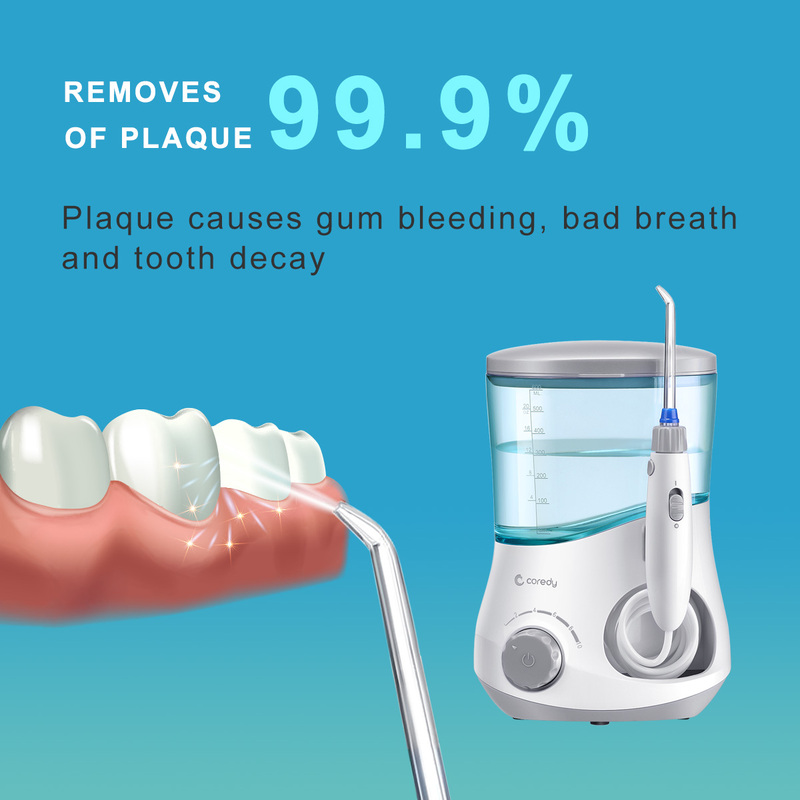 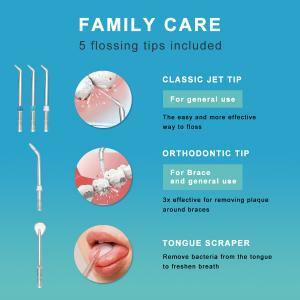 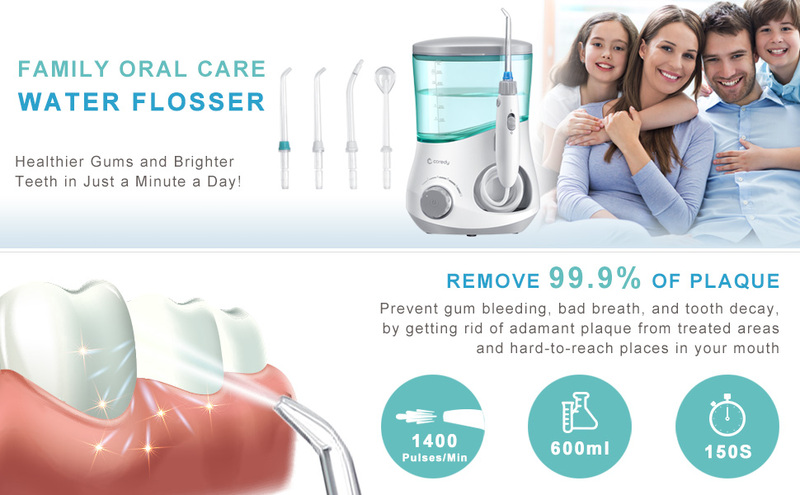 Ten gradually adjustable water pressure for varying oral hygiene needs, water pressure from 30 to 110 PSI with 1400 pulses per minute, choose from different water pressure settings to find a comfortable setting for your teeth and gums. The oral irrigator specially designed with leak-proof technology, built-in integrated tank value securely sealed to prevent the water from leaking for a smoother and safer operation. 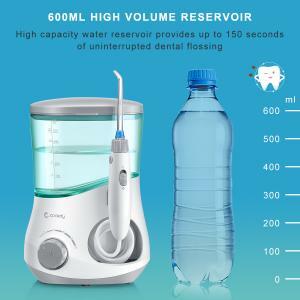 High capacity 600 ml water tank provides up to 150 seconds of interrupted dental flossing in order to easily achieve a better oral hygiene in only one week of use. 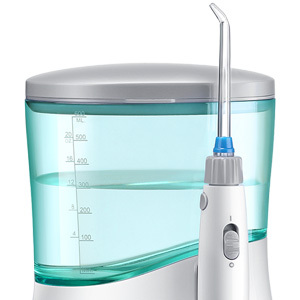 Note: Do not fill the tank with water hotter than 104°F / 40°C to ensure the health of teeth / gums. 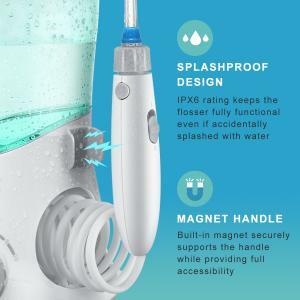 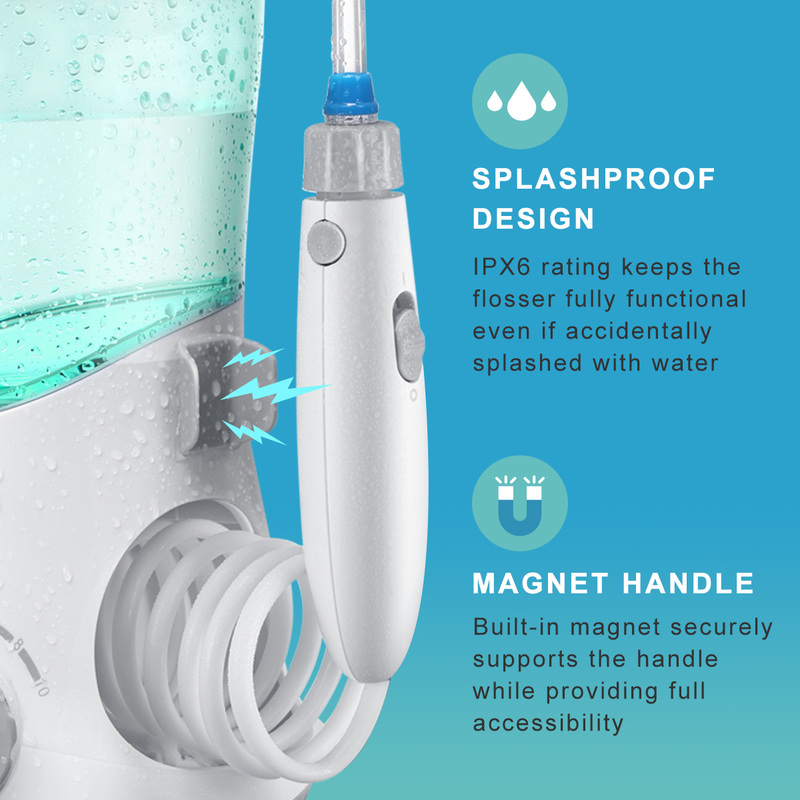 IPX6 rating keeps the water flosser fully functional even when the oral irrigator accidentally splashed with water. 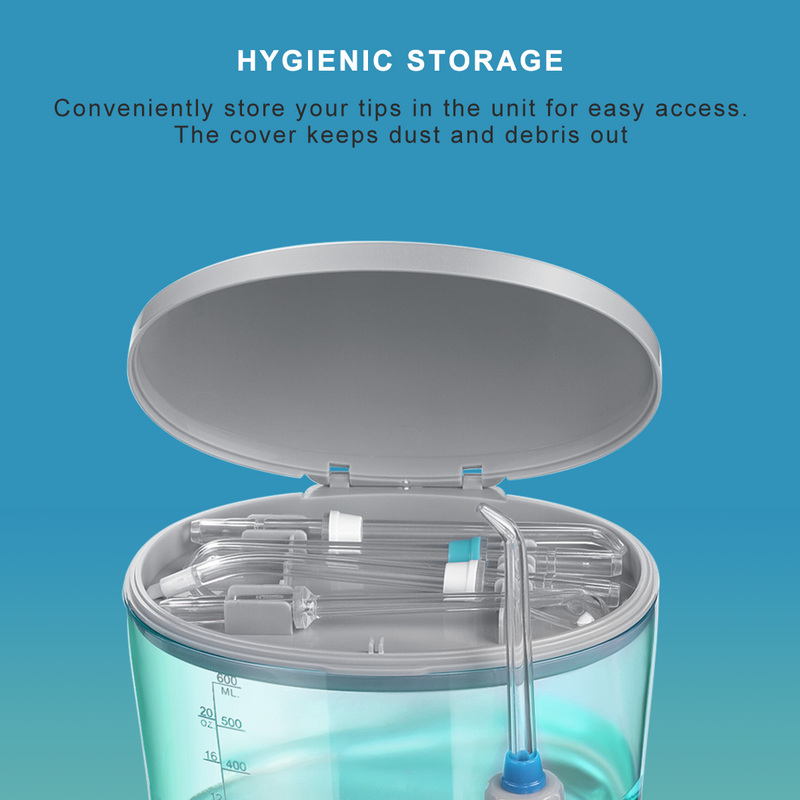 When you have completed your daily oral cleaning, the built-in magnet securely supports the handle while keeping it fully accessible. 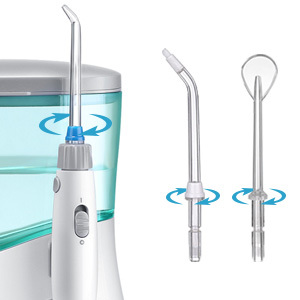 360 degree rotating tips to clean all areas of mouth where traditional brushing and flossing can’t reach. 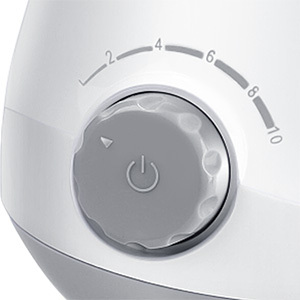 You can press the pause switch on the handle at any time to temporarily stop the flow. 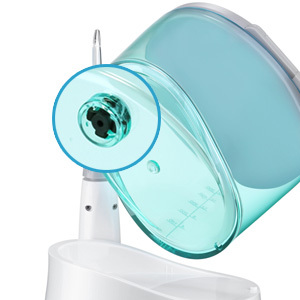 Easy to remove your tip with a simply press the release button when flossing work done.